With our many years of experience and high standards of service, Action First Physio is the only logical choice to treat your muscle and joint pain. We understand that every client is unique, so treatments differ greatly. This is why we work closely with each and every one of our clients so that we can properly understand their needs. This allows us to tailor their treatment plan to their individual requirements. Lower back and other common muscle problems can be agony and really disrupt our daily lives. Action First Physio can help you to get back on your feet and teach you techniques to gradually improve your condition. Our clients come to us from all over the surrounding areas including Goole, Thorne, Monk Fryston and Selby and many recommendations come from satisfied clients. Our friendly team are all highly trained and fully qualified members of HPC and CSP. With their many years of experience and wealth of knowledge you can be assured that you are always receiving only the highest standards of services available. 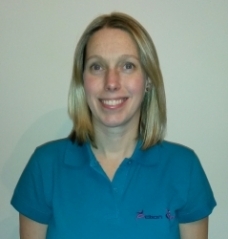 Kirsteen graduated with a BSc in Physiotherapy in 2005 and is now a fully qualified sports masseur and carries out acupuncture to complement her physiotherapy treatment. She has recently returned to part time work following the birth of her daughter Emily. She has a wealth of experience including paediatrics, musculoskeletal problems, post joint surgery, arthritis and occupational conditions. As a passionate sportswoman herself, taking part in Triathlons, running half marathons and joining in the Pilates classes here at Action First, Kirsteen understands the stresses and strains that come alongside a range of different sports. 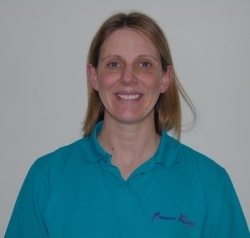 Ruth qualified with a BSc in Physiotherapy in 2003 and completed a BSc in sport and exercise science in 1999. She has a wide range of experience in the musculoskeletal setting treating a variety of patients from the high level athlete to the young and old. She also uses acupuncture alongside her physiotherapy skills to help her patients. Outside of work Ruth is a Mum of two girls and enjoys playing netball in her spare time. Hazel graduated with a BSc in Sports Science before completing an MSc in Physiotherapy and Acupuncture. 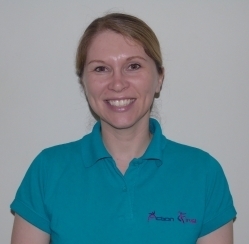 She has worked in the NHS and has a wealth of industry knowledge and experience including musculoskeletal, orthopaedics, rheumatology, acupuncture and can offer one to one and group pilates sessions. Outside of work Hazel spends time with her two daughters and is involved with their gymnastics club. 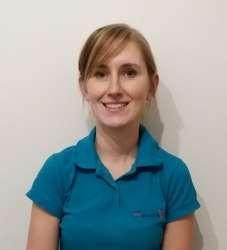 With a BSc in Physiotherapy, Harriet has a wide range of experience: from paediatric, musculoskeletal and orthopaedic conditions in the community and acute hospital setting. She also worked in hospitals and health centres in Africa as part of her training, working in a developing country enabled her to gain a wealth of experience working with trauma patients and having to think ‘outsideof the box.’ In addition, she has continued her specialist training in paediatric, orthopaedic and musculoskeletal conditions. Harret is an avid show jumper competing at National level, this provides her with a good understanding of horseriding injuries and fitness. 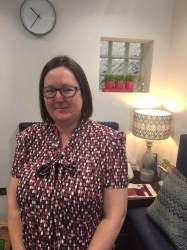 Christine joined Action First Physio in 2011 as a Receptionist and Physiotherapy Assistant and is a valued member of the team. She has a keen interest in socialising with her local Darts team, travelling and spending time with her family and dogs. Emma recently joined us as a receptionist and physiotherapy assistant from the security industry. Emma enjoys spending time with her family and friends. She also volunteers in the local community working with the Rawcliffe bridge section of 1st Snaith and Rawcliffe bridge Scouts. 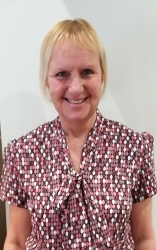 Shirley joined the Action First reception team in July 2018. Before joining us she worked for several years at Guardian Glass in Goole. In her spare time Shirley enjoys walking and spending time with her family.